There is a quirk to my personality that glories in the underdog (there has to be a reason I am a Quin’s supporter) and relishes the fall of Goliath. 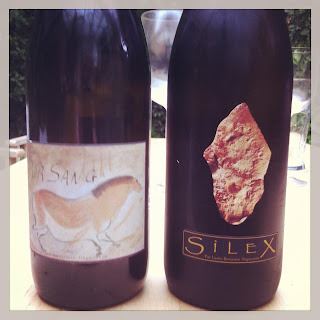 So when a good friend produced a bottle of the infamous Didier Dagueneau Silex 2008 on Saturday night, there was a momentary flicker of malicious excitement as I prepared to be delightfully underwhelmed in the face of such an awesome reputation. We are pleased to hear that cult Mornington Peninsula producer Ten Minutes by Tractor has been rated as a five star winery yet again by James Halliday in his 2014 edition of the Wine Companion. Day two on our Rioja trip and after the early morning bike ride in Sanmiego, the team are ready for another great winery visit, this time to Bodegas Altanza. 6am starts are never easy but a few coffees later and we were already looking forward to a great trip to Rioja! 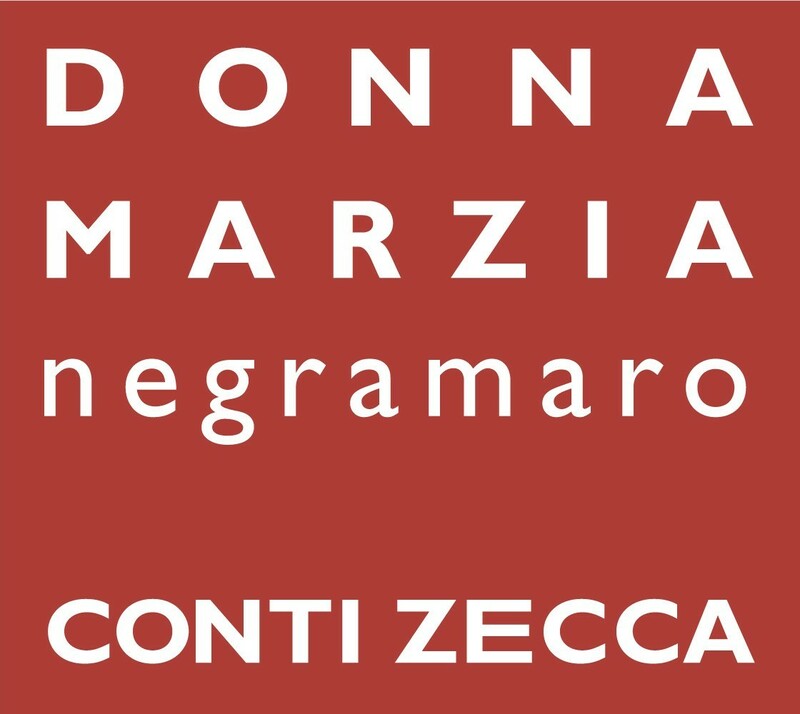 This time the whole sales and marketing teams were in full force and looking forward to the first winery - our new agency Bodegas Remírez de Ganuza. 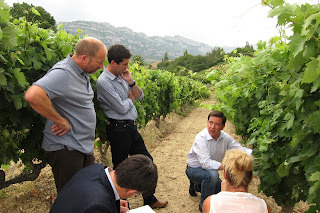 Fernando and Luis were absolutely fantastic hosts and took us straight to where it all starts – the vineyards! 0300 is not the time to get up unless there is very good reason....flying to visit Marjan Simcic in Slovenia and Ivica Matosovic in Croatia provided the reason to get out of bed. The only good thing is that you can pack an awful lot into a day like this, especially when you don't turn in until gone four the next morning, but that is getting ahead of ourselves. 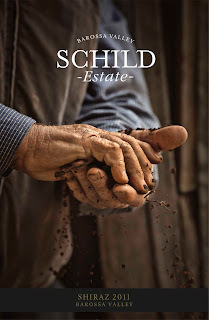 Schild Estate are proud to announce that the striking new labels for the Estate Wines have won multiple medals at the San Francisco International Wine Competition- Label Design Awards. 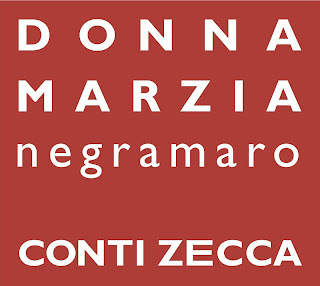 We are delighted to announce that one of our wines, the Donna Marzia Negramaro Rosso 2011, has been awarded a Gold Medal at the ‘Sélections Mondiales des vins Canada’. 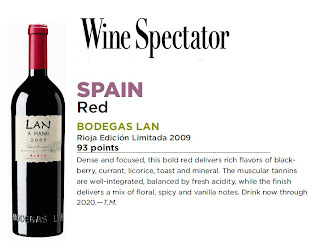 LAN a Mano 2009 receives 93 points from Wine Spectator magazine. Bodegas LAN is pleased to announce that the LAN a Mano Rioja Edicion Limitada 2009 has just received 93 points from Wine Spectator magazine.